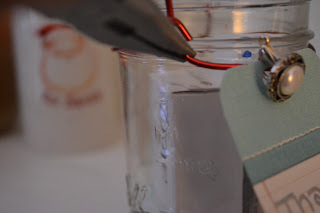 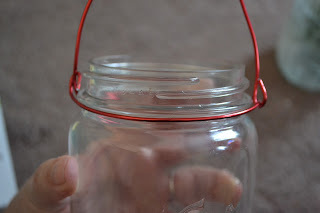 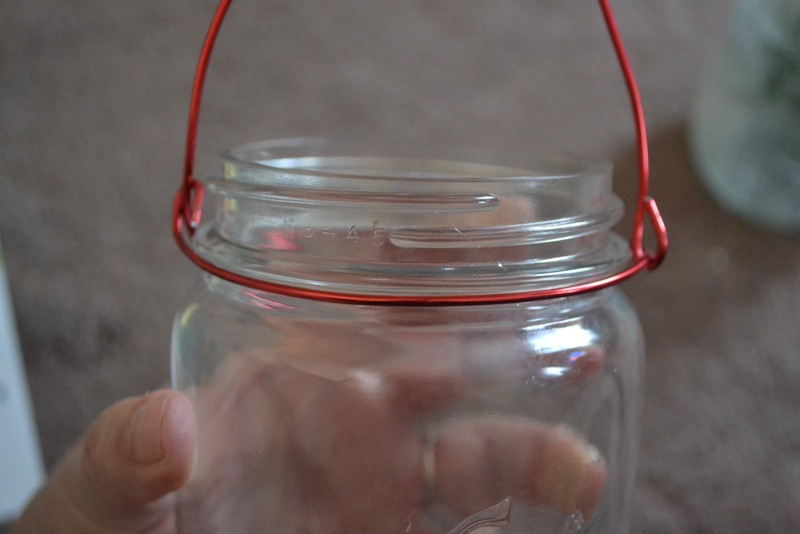 Adding a wire handle to a mason jar will only require less than 5 minutes, and a trip to the dollar store for a one dollar item, but will add just that perfect touch to your craft or gift jar. 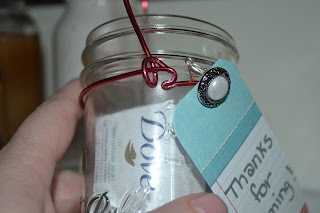 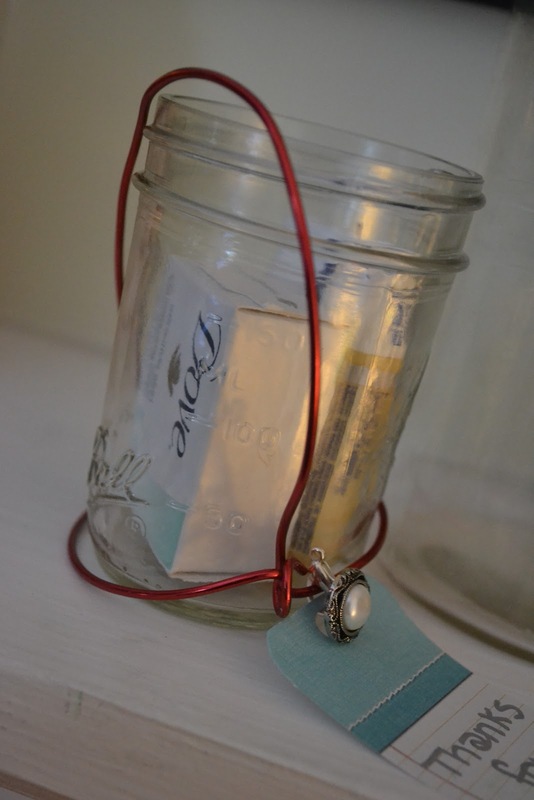 I love taking small jelly jars, adding a wire handle and using it as goodie bag for bridal or baby showers! 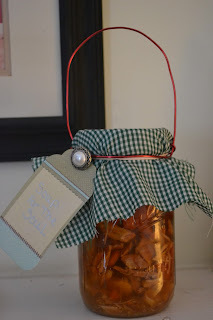 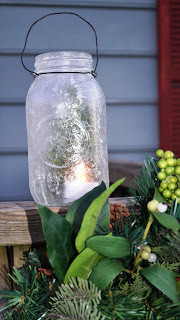 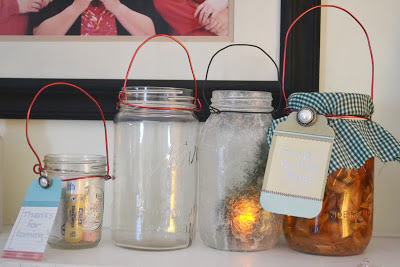 It'll also dress up a mix in a jar gift, a luminary jar, or a jar of homemade soup to a sick friend! 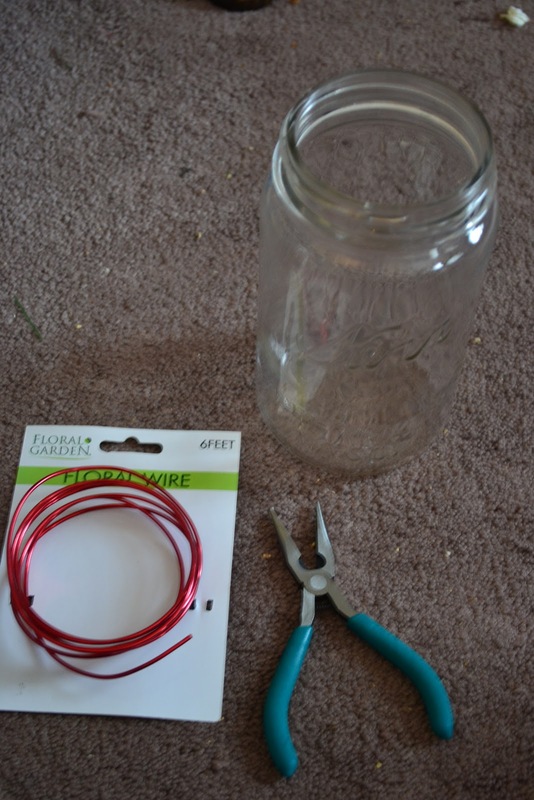 Jan's Tip: I use about 2 ft of wire for each jar so one 6 ft. coil from the dollar store gives me 3 jars. 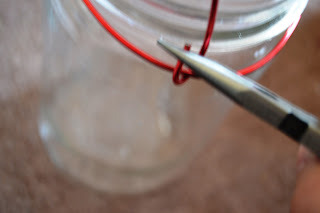 Step One: Using a needle nose plier, bend the end of the wire into a loop like below: Jan's Tip: If you'd like to feed on a vintage button (that has a shank on the back) like my soup jar at the top of the page, feed the button on before you make your first bend. 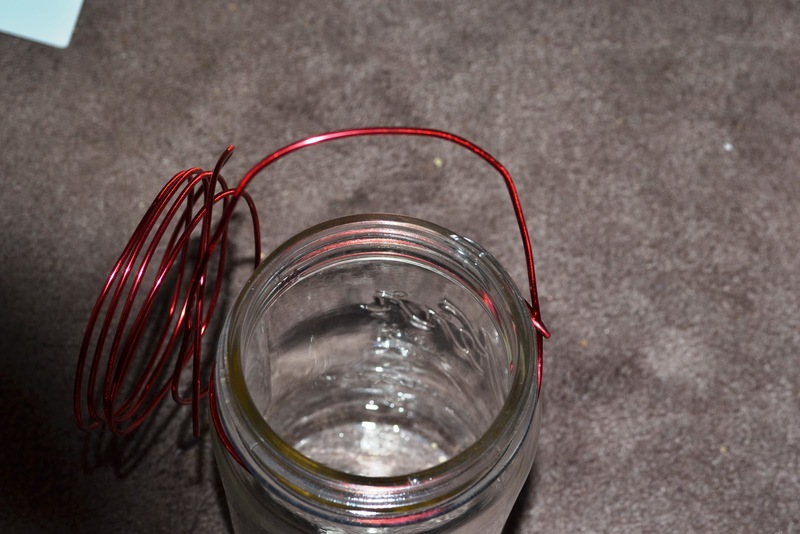 Step Four Pull the wire that you just ran through the loop tight and bend it up into the desired length of a handle. 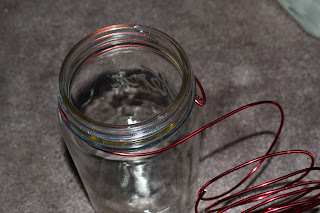 Step Five Slightly straighten the excess wire and measure approximatly a 1- 1 1/2 inches below the wire that runs around the neck. 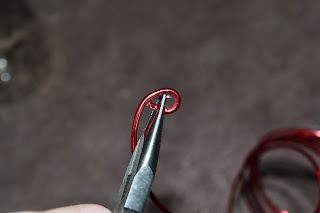 Snip the wire at that point with your needle nose pliers ( they should have a snippy section like mine below). Step Six Feed the wire underneath the neck wire. 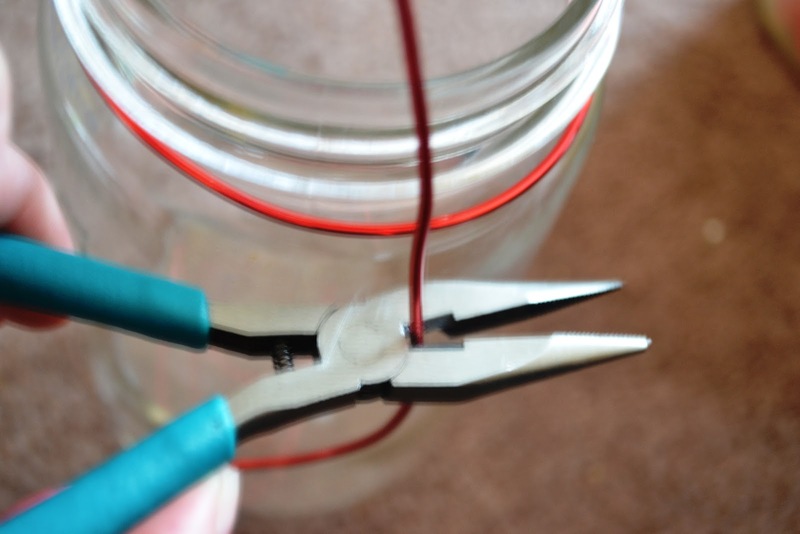 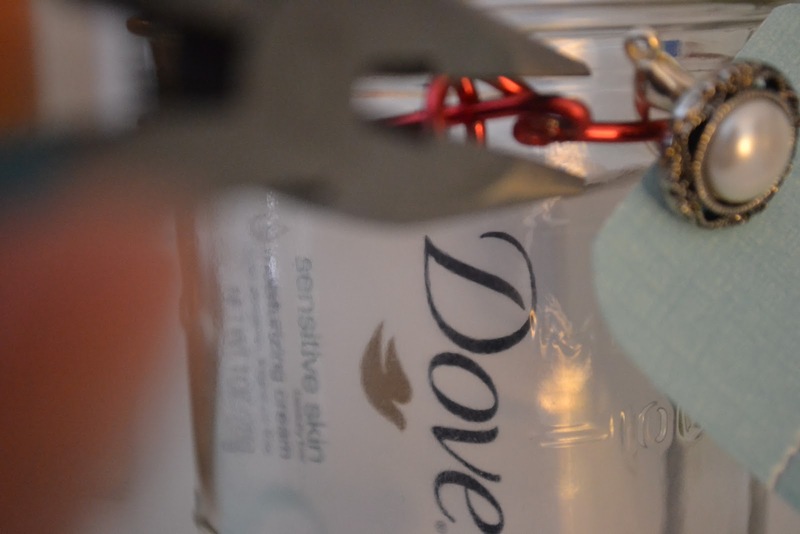 Step Seven Use needle nose pliers and bend the end up into a closed loop. Jan's Troubleshooting Tip: If you find that your wire was too loose around the jar and was not tight enough here is what I do to fix mine on the occasion that I rushed and it happens to me: (I'm going to do my best here to show/explain it, but basically your going to Kink the wire (think like kinking a garden hose). On the side of the wire that you finished last in the tutorial, take your needle nose pliers, tightly grip the neck wire and turn your hand clockwise to create a bend in the wire. 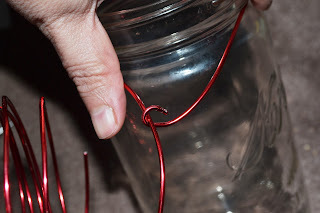 Bend it till the wire is tight enough to stay put. Now, take that whole bend mess and squish it down on top of each other to minimize it's appearance. 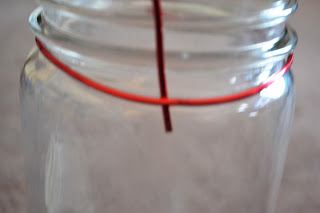 You can now disguise this small bend easily, because it is near the loop on the side and you can tie a tag/ribbon around that area, no one will be the wiser!